NEW! SHARP DIET WHEY PROTEIN is designed to help you achieve a lean and defined physique. It is formulated to deliver highly bioavailable protein without excess calories and enhanced with CLA, Acetyl L-Carnitine and antioxidants. SHARP DIET WHEY PROTEIN contains high quality sources of protein for rapid absorption to build lean muscle and aid in reducing muscle tissue breakdown. SHARP DIET WHEY PROTEIN is an advanced formula designed to both support the building of muscle and effectively aid fat-loss. Whey Protein Concentrate (Milk), Whey Protein Isolate (Milk), L-Carnitine, Green Tea, Flavourings, Natural Colourings, Xanthan Gum, Sweetener:Sucralose. Sharpbodies - OATS AND WHEY is a premium product designed to meet the nutritional demands of an active lifestyle. It provides an optimum balance of carbohydrates and protein with a low fat, low sugar profile. 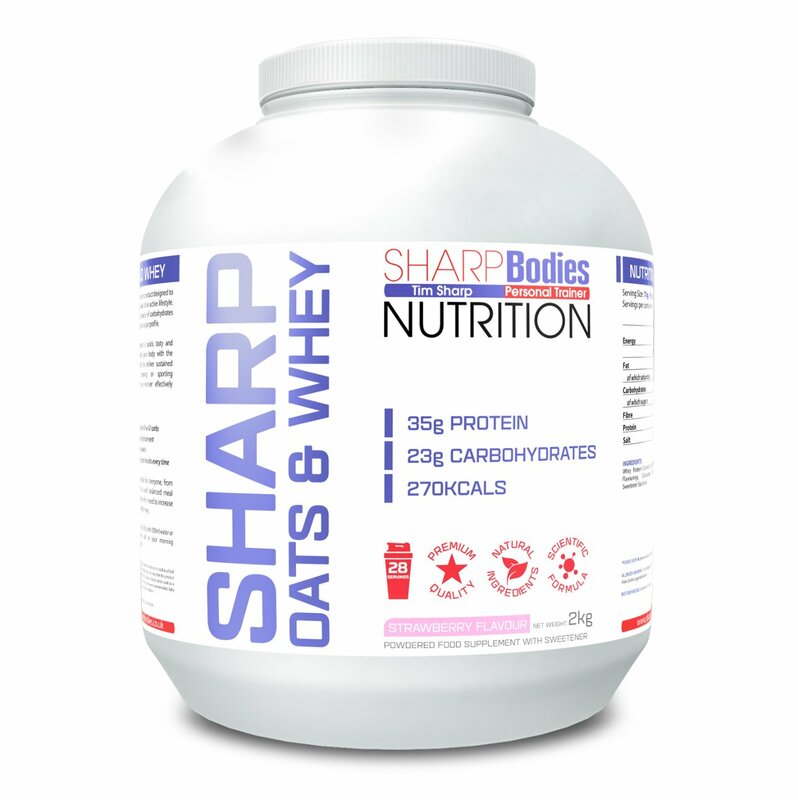 Sharpbodies - OATS AND WHEY represents a quick, tasty and convenient way to provide your body with the essential nutrients it needs to deliver sustained energy during your training or sporting performance and help you recover effectively afterwards. 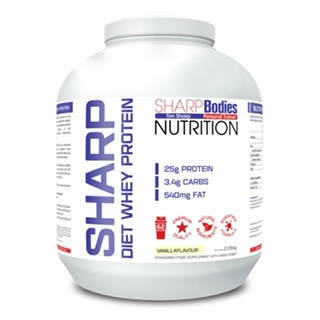 Sharpbodies - OATS AND WHEY are suitable for everyone, from those simply looking for a well balanced meal on-the-go to serious athletes who need to increase their dietary intake in a healthy way. OATS AND WHEY is a premium product designed to meet the nutritional demands of an active lifestyle. It provides an optimum balance of carbohydrates and protein with a low fat, low sugar profile. OATS AND WHEY contains finest quality Whey Protein Concentrate, Milk Protein and Oat Flour and comes in Strawberry flavour. Can be enjoyed hot or cold. Sharpbodies FAT BURNERSare an optimum formulation of the strongest and most effective weight-loss and energy boosting ingredients available. 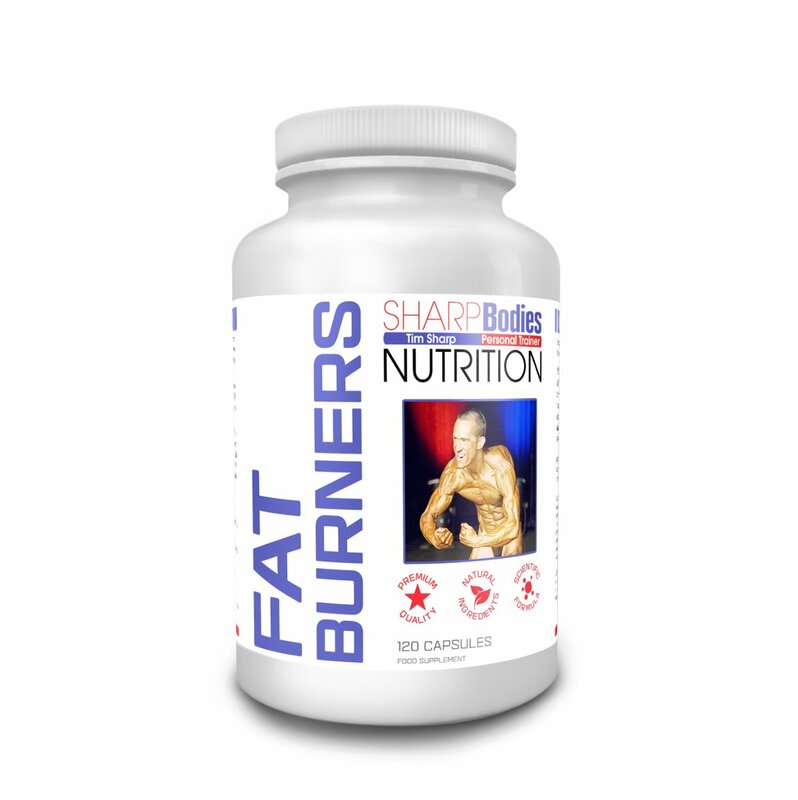 When used synergistically with a sensible diet and exercise programme, FAT BURNERS can propel your energy levels and help you achieve your physique goals. The key component of FAT BURNERS is caffeine, which has been proven to boost the rate of fat-loss. Combined with a full spectrum of active ingredients, FAT BURNERScan provide your workout with an explosive boost in energy. Maize Starch, Silicon Dioxide, Magnesium Stearate & Gelatine Capsules. Sharpbodies MILK THISTLE 120 has a long history as a traditional herbal medicine for the liver by accelerating the regeneration, as well as production, of liver cells. Milk Thistle (silybum marianum) is a member of the Asteraceae family, a tall herb with prickly leaves and a milky sap that is native to the Mediterranean region of Europe. Milk thistle is amongh the most ancient of all known herbal medicines, having been used for centuries as a remedy for liver complaints. This premium milk thistle extract is standardised to contain 80% sillymarin. Scientifically proven combination of branched chain amino acids to aid muscle growth. 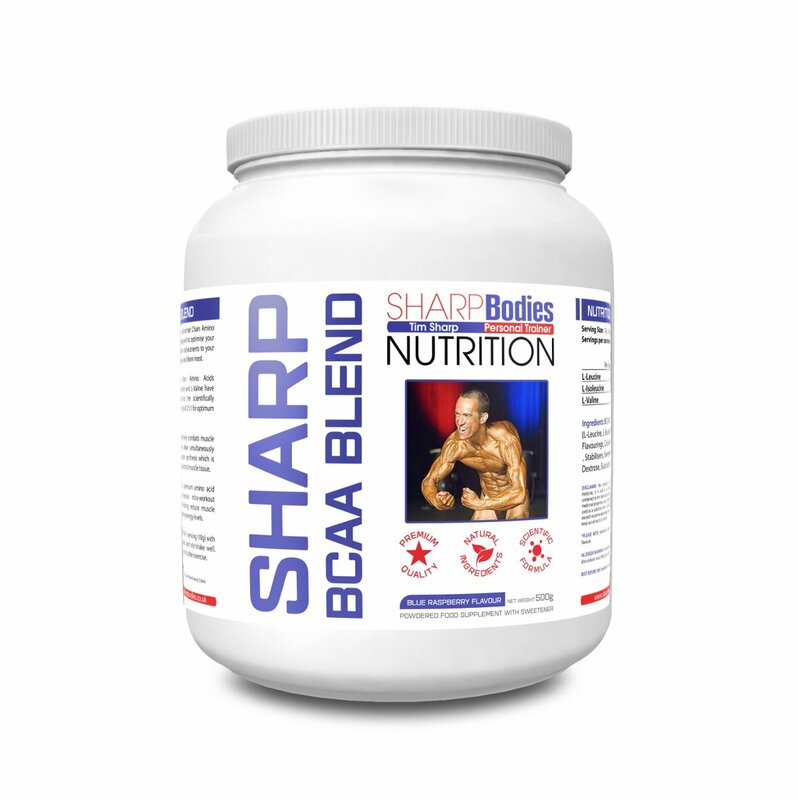 Sharpbodies BCAA BLEND is a Branched Chain Amino Acid drink mix designed to optimise your training and deliver vital nutrients to your muscles. The Branched Chain Amino Acids L-Leucine, L-Isoleucine and L-Valine have been combined into the scientifically proven optimum ratio of 2:1:1.